Thanksgiving is right around the corner now that it is November and Thanksgiving usually means cold weather in NY so the kids are usually stuck in the house. In order to combat the winter blues and get the kids involved in the kitchen, I’ve created a Popcorn Mix that is not only delicious, but super cute. 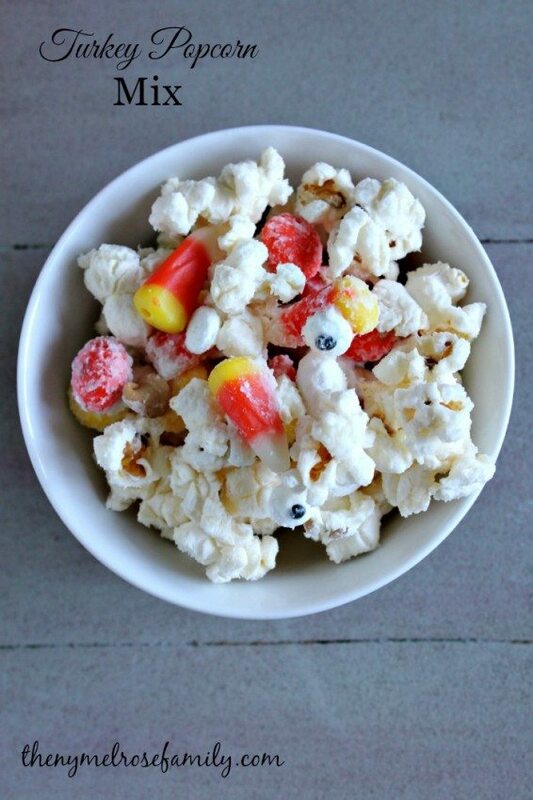 Plus, if you still have some leftover candy corns it makes this recipe super simple. Our Turkey Popcorn Mix is a salty and sweet combination that no one will be able to resist. I didn’t have an opportunity to make any sweets for Halloween with googley eyes or candy corns so it only seemed right that I create something fun for Thanksgiving with them. 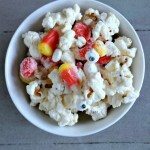 My Bunny Tail Popcorn Mix was a huge hit with Riley in the Spring so I knew that she’d love this recipe. 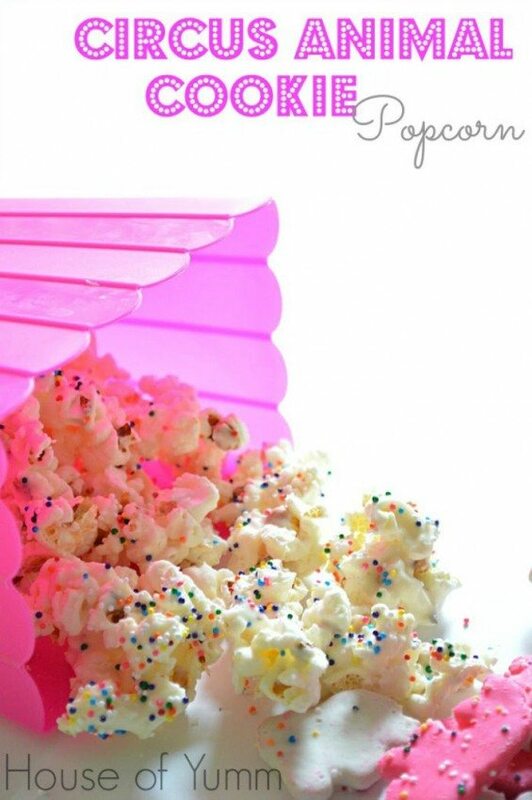 It combines popcorn with various candies and white chocolate. What’s not to love? The googley eyes are one of my favorite things about this popcorn mix because they just sneak up on you. I envisioned the candy corns as the turkeys’ beaks and the Candy Corn flavored M & M’s as the embellishments to their wings. Regardless of how you see it, this is the perfect treat to have the kiddos make. Riley loved being able to add in the ingredients. She especially loved telling me what part of the turkey she thought she was adding in. 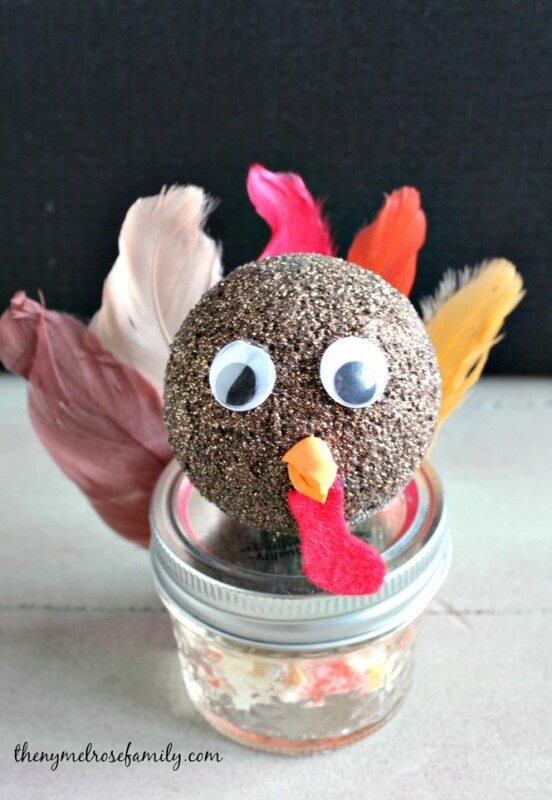 Later this week, I’m going to show you how to create the perfect turkey mason jar gift to give the candy as hostess gifts or even as Thanksgiving favors for the kids to make and leave with this Thanksgiving. 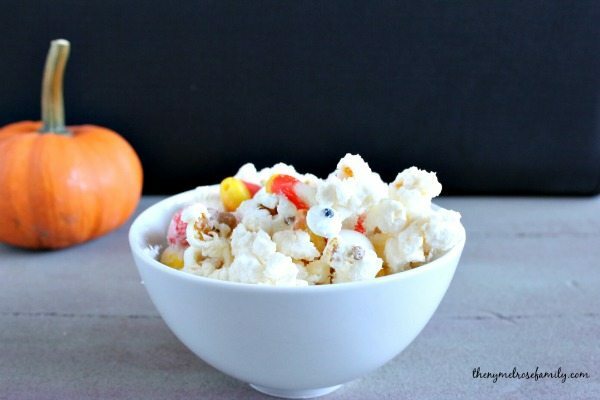 A salty and sweet turkey popcorn recipe that is easy and delicious. Pop the popcorn according to the package directions. 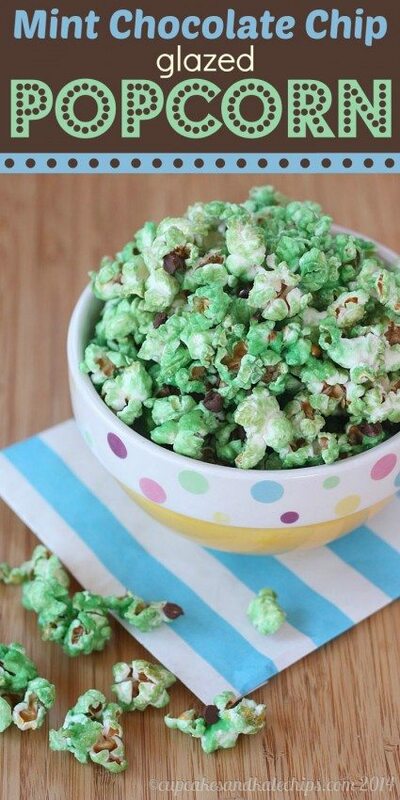 Lay the popped popcorn out on a parchment paper covered cookie sheet. Remove any unpopped corns from the sheet. 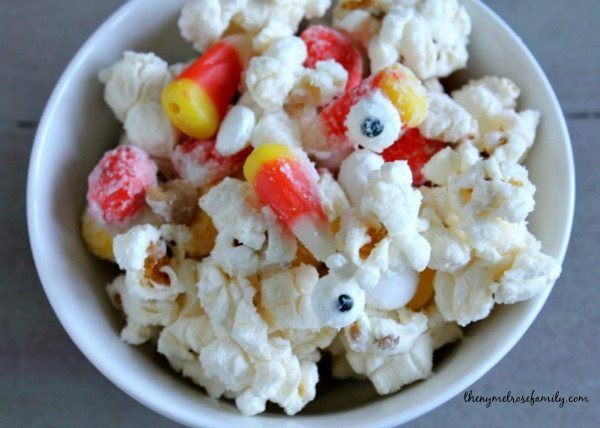 Add in the candy corns, M &M's and peanut butter chips. Melt the candy melts and pour over the popcorn mixture. Mix with a spoon or have the kids use their hands. Now this is fun! Pinned it to my Snacks board! Hey, just wanted to tell you that NY Melrose Family is “Featured Blog Of The Week” on my blog, Ducks ‘n a Row. A link to your blog will appear in the upper right side bar starting tomorrow night (when my blog hop; goes live) for a week. Hope you get lots of new friends out of it! and voila I managed to get into Euro Disney free of charge. the Sydney Opera House’s unconventional and striking design.